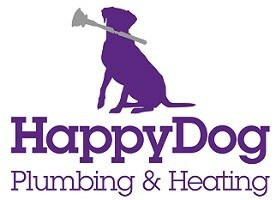 Happy Dog Plumbing Limited is a family run business based in the heart of Tooting, South West London and has grown steadily through word of mouth recommendations and our strong technical expertise. We have over 50 combined year's experience in the plumbing and heating industry and believe in honest work at a competitive price. We are approved installers with Ideal, Vaillant and Worcester Bosch and can offer extended warranties of up to 12-years dependent on the boiler you choose. We are also fully licenced by the FCA and can offer full finance on any Worcester boiler. We carry out all plumbing and heating works from simple tap repairs or replacements to full heating system design and installation, boiler servicing and landlords safety certificates. Borough of Wandsworth, Merton, Croydon, Kensington & Chelsea, Hammersmith & Fulham, City of London, Lambeth, Southwark, Westminster City, Kingston Upon Thames, Richmond Upon Thames, Morden.